Red Blends - City Vino, Inc. Many wines that you are familiar with are blends including wines from Bordeaux and the Rhone valley. Wines labelled as Meritage, Cava and Port are blends. Champagne, Rioja and Priorat can be blends, too. Blending two or more grapes allows the winemaker to enhance the aroma, color, texture, body, and finish of the resulting wine. Blends allow for wines to be more well-rounded and complex. Blending allows the winemaker the ability to highlight each grape’s strengths, while complementing the other grapes at the same time. The most famous wine blend is Red Bordeaux. 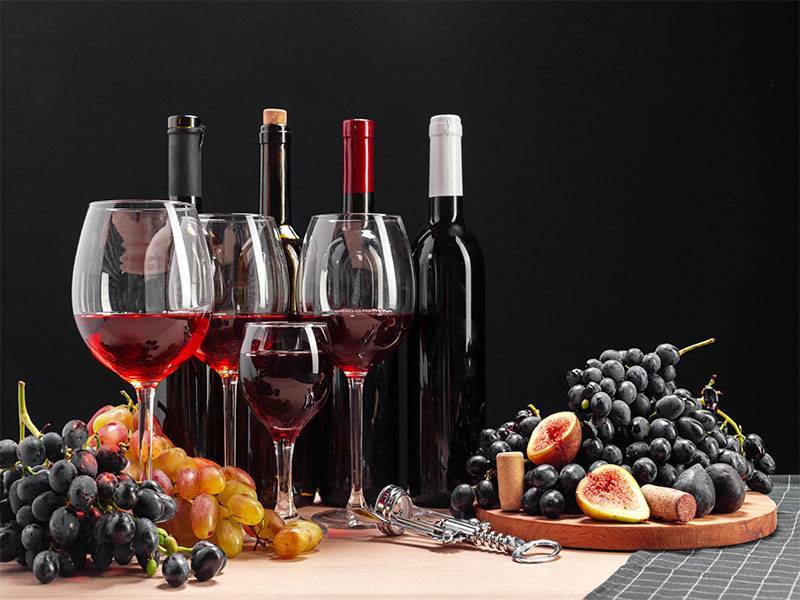 Red Bordeaux wines can only be made from eight red grapes (usually Cabernet Sauvignon with Merlot and/or Cabernet Franc; sometimes a small amount of Petit Verdot and/or Malbec; rarely Carmenere, Gros Verdot, or St. Macaire). Cabernet Sauvignon is tannic, powerful and hearty, and provides a structure to a blend that allows it to age well. Merlot brings smoother tannins and more red fruit notes. Cabernet Franc may bring some vegetal or peppery notes. Cabernet Sauvignon grows well in the sandy soils of the left bank (as you face the ocean or south side of the Garonne and Gironde rivers) of Bordeaux, so it usually dominates blends made there, and Merlot grows well in the clay soils of the right bank (as you face the ocean or north side of the Garonne and Gironde rivers), so it usually dominates blends from there. Wines labelled Meritage (a combination of the word Merit and Heritage, which is a licensed trademark of the Meritage Alliance based in California) denotes wines made from Bordeaux grapes outside of the Bordeaux region itself, and usually in the United States. France’s Rhone valley is home to Cotes du Rhone wines. Cotes du Rhone wines are often known as GSM blends because the predominant grapes are Grenache, Syrah and Mourvedre. Grenache provides flavors of candied fruit, raspberries and spice and can have a high alcohol level giving a tingling sensation. Syrah adds fruit flavors like blueberry and black plums, and adds upfront flavor and boldness. Mourvedre adds deep dark color and a persistent finish to round out the wine’s palate. You can also find GSM blends from the Unites States and Australia. I enjoy these informational articles. Thanks.